Million Minutes enables youth action and advocacy activities that give voice and support to young people (aged up to 25) to transform their lives and their world. That's because young people's energy and vibrancy is astonishing. We have faith in young people. We see a world in which young people enable the transformation needed for everyone to live a life of dignity. Million Minutes is working in Catholic Parishes and local communities to empower them to support young people at risk of falling through the gaps. The Courtyard project is bringing together the insights of experienced Catholic youth workers and draws on the extraordinary creativity of Frank Cottrell Boyce, the work and vision of Fr Christopher Jamison OSB, and Baroness Sheila Hollins’ knowledge of young people in crisis. We're working with a broad collaboration of partners, including Caritas Westminster. Million Minutes host the national Celebrating Young People Awards, bringing together hundreds of young people, youth workers, teachers and supporters from across England and Wales . The Awards honour the achievements of those truly remarkable young people who make our communities and our world a better place. Their achievements are an inspiration for us all. They show us all how ordinary young people can do the most extraordinary things. Join us on the 3 July 2019 in London’s West End. Deadline for nominations is the 24 May 2019. Find out more about our 2017 award recipients here! Lex Kearney ran away from home when he was 16. After working a series of jobs and crashing on friends’ floors, Lex found himself out of options. One of the projects Million Minutes supports is a scheme for young people like Lex who are homeless. Working with the Cardinal Hume Centre, young people are given somewhere to live and the help of a dedicated mentor. We also work closely with YCW and For Jimmy. Blessed Thomas Holford Catholic College is just one of the many schools who have gone siLENT to experience what effect silence can have on their lives, and raise money to make a difference to young across the UK. Each day there are lots of activities like Sacred Silence in the Chaplaincy in the morning and phoneless Fridays for 6th formers. One student said "The silence has made me feel relaxed and at peace and I found it easy to do. It has made me be able to think about the good things/people I have in my life and to cherish them and not take them for granted." 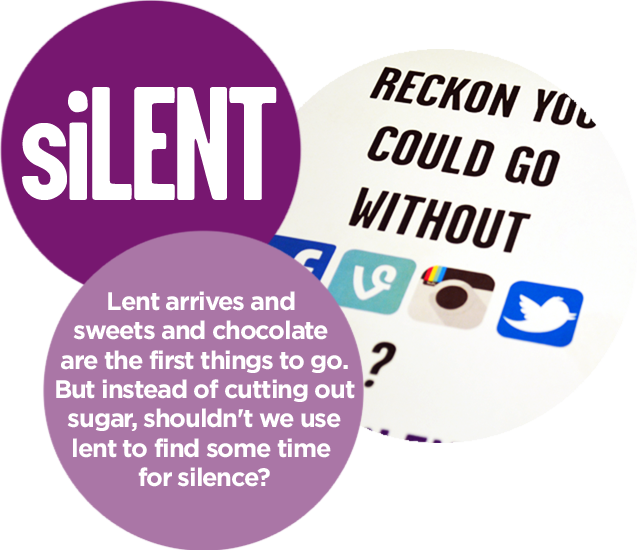 Join us in a continuous silence this coming lent (6th March-20th April 2019). Get involved here!